There are so many types of Pandora jewellery we thought we'd give you the low-down on what they are and how to wear them. From the charm, to the clip, to the safety chain, discover all the types of Pandora jewellery you need to know in our guide. We've updated this guide to include the latest Pandora jewellery concepts, such as the Reflexions bracelets. Pandora have a wide selection of charms for you to choose from. Crafted from quality materials including sterling silver, the Pandora charms are decorated with a combination of cubic zirconias, enamel, semi-precious stones, Murano glass and even 18ct gold plate. You can attach your Pandora Charms onto your bracelet by either twisting or simply threading the charm onto your bracelet or necklace. Inspired by the power of emotions and endearing qualities, Pandora Essence beads are made with a special silicone grip on the inside of the bead, allowing you to thread them effortlessly onto your Pandora Essence bracelet. From compassion, to friendship, to hope - you can wear the qualities that matter to you most. As Pandora Essence beads are exclusively designed to fit the Pandora Essence Bracelets, so make sure you check the product description before you buy. Pandora charms are perfect collectible jewellery pieces that capture those special moments or milestones in your life. You’ll find a diverse collection of charms to discover your story or the perfect gift for a loved one. 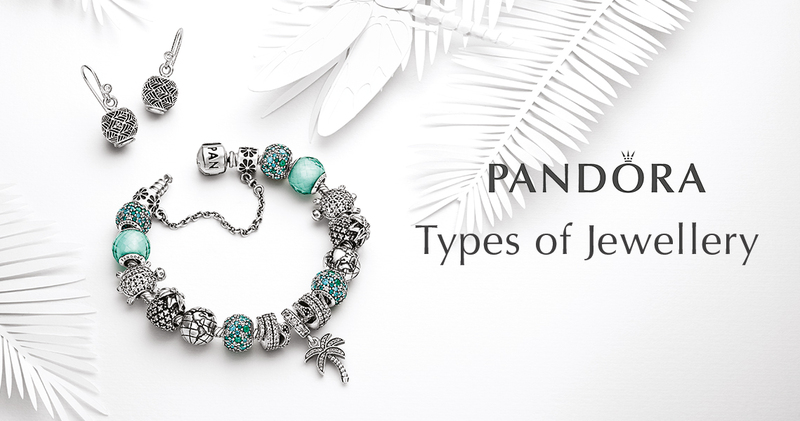 While Pandora bracelets and bangles can be worn as stylish standalone pieces, they were designed to attach your personal selection of beads, charms and clips. Pandora charm bracelets come in various sizes. When it comes to selecting the right size for you, we suggest being able to fit two fingers down either side of the bracelet once fastened - this will allow plenty of room for any charms you might want to add. Within our collection, we also have the new Pandora Reflexions bracelets. These bracelets offer a thin and flat design, crafted from stylish sterling silver mesh. Available with a unique set of charms, the Reflexions collection offers a slightly more sophisticated style that's suitable for formal wear. Opening the clasp on your Pandora Bracelet couldn’t be easier once you know how. Some of the bracelets come with a trigger fastening, while others have a special clasp which can be opened by pushing your nails or a pin into the opening and pulling it apart. All of our Pandora bracelets come in a variety of quality materials including sterling silver and genuine leather. Pandora Clips fit perfectly onto the small bumps on your Pandora charm bracelet. We advise our customers that when you purchase your first Pandora charm bracelet and charms, you also purchase two Pandora clips. These clips attach to the small bumps either side of your charm bracelet and hold your charm in a central position. By placing the clips on these ‘threaded nodes’ with your charm in the centre, you are providing a fixed area for your charm to sit. Again, these clips come in various designs, colours and metals to complement your current collection and style. To open the clips, simply push your nail into the hairline crack and pull open. 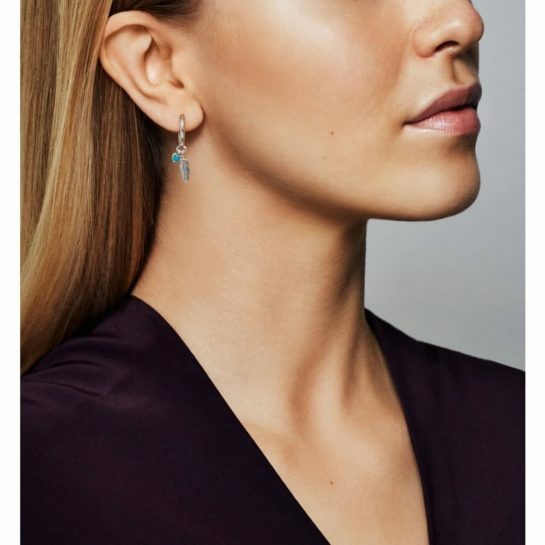 From elegantly and intricately designed studs to statement dropper earrings, the Pandora earrings collection offers beautiful sterling silver pieces that look great with your hair up. Whether you’re looking for simple and sophisticated or elaborate, you’ll find the perfect Pandora necklaces and pendants right here. A recent necklace concept by Pandora includes the Petite Memories locket featuring a see-through locket that can hold a personalised selection of tiny charms known as Petite Memories. Pandora Pendants are easily attached to various chains and come in a variety of materials to suit your current jewellery collection. Pendants can come with or without a chain, please check the description to make sure. 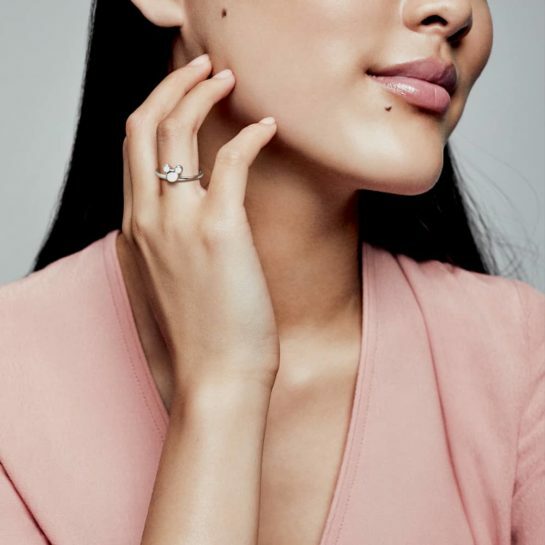 Pandora Rings come in a variety of different precious metal finishes including sterling silver, yellow gold and rose gold. There are many rings in the collection that are designed to be stacked while other larger pieces sparkle effortlessly on their own. Safety chains are a great support mechanism you can place near the clasp. If you’re worried your bracelet will come undone, these safety chains ensure it doesn’t go anywhere. Pandora Safety Chains have been designed so that they twist onto the bracelet pass the treaded nodes (bumps in the bracelet). It is important that you start with the correct end on the chain with the hinge that allows the chain to spin without shortening or tangling it. Then, in turn, the other end is easily attached to the end that fits into the clasp. Pandora Safety Chains come in various sizes including 4, 5, 6 and 7cm. We suggest that when you buy a charm bracelet that is 16-17cm you opt for a 4cm safety chain, 5cm is our most popular for 18-20cm bracelets and 6-7cm for anything above. Spacers are great additions to your charm bracelets or necklaces if you want to separate charms that hang low or if you fancy incorporating an on-trend two-tone effect with your jewellery. With many designs featured in different materials, the possibilities are endless. We hope you found our ultimate types of Pandora jewellery guide helpful and inspired you to start your own collection or purchase something new. Find your Pandora today at The Jewel Hut.